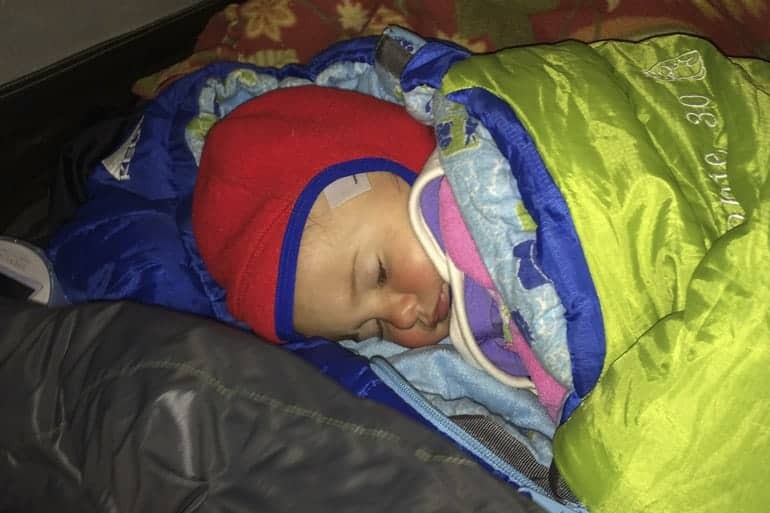 The number one question we get about camping as a family is how to get babies and kids to sleep. We’re sleep deprived as it as as parents with little ones, right!? Why in the world would we jeopardize that even further by taking everyone camping!?! Note: some of the following links are affiliates. Thanks for clicking through them if you find anything you love as much as we do! While there are obviously other concerns, if we step back and evaluate, babies are actually really easy at a young age. If they are fed, changed and get sleep, they’re happy wherever you are! Toddlers and slightly older kids, however, can be a little tougher. 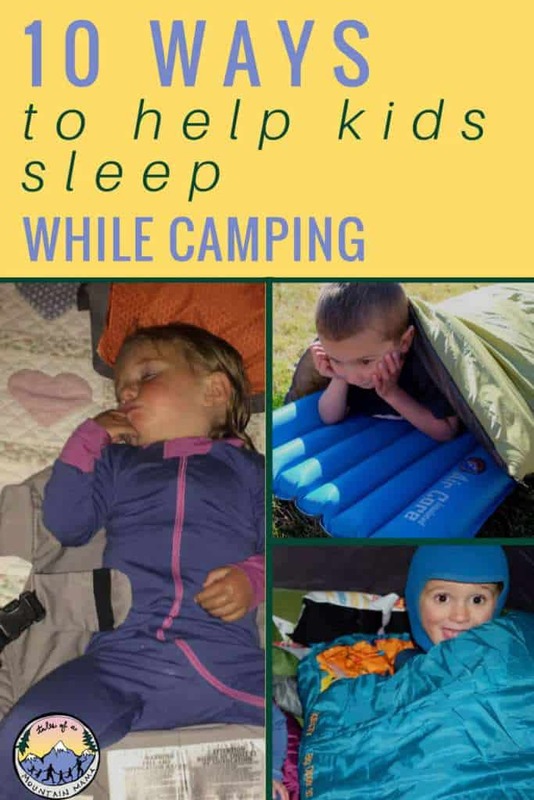 After numerous camping trips with babies starting at just a couple months old, here’s our top tips. Also, please note that we have definitely had our share of failures. We’ve even thrown up our hands and broken down camp and went home at 3 am before. 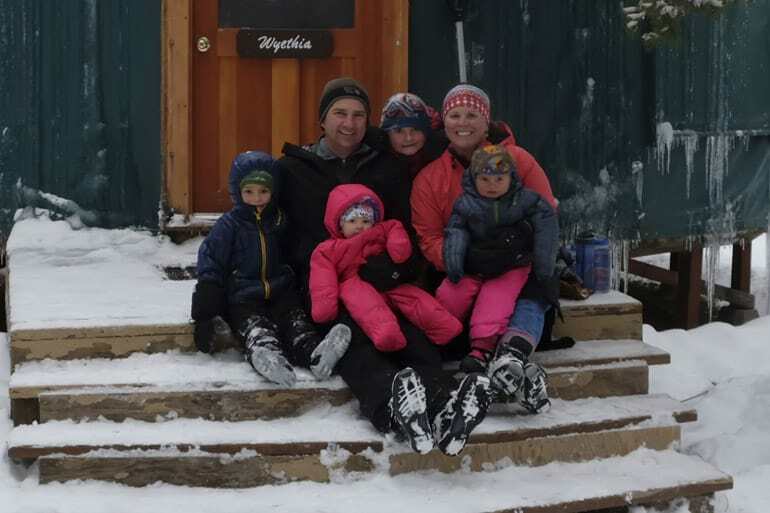 Life happens with kids while camping just like it happens at home, so we might as well get out there and make some memories! 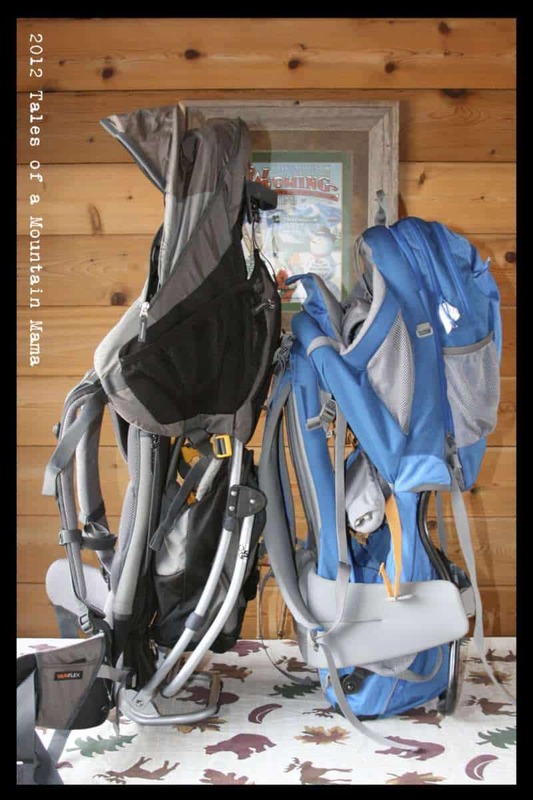 For us, a baby carrier is our number one camping friend. Many a baby has taken a nap in the carrier, and that’s usually how we get them to sleep at night. Luckily our kids transfer fairly well if we time it right (about 10 minutes after they fall asleep…and after that big “sleep sigh”). We’ve also had some transfer fails and had to try again….but in general it’s a good bet. Use white noise. We love this Sound Oasis one. It’s small and portable, but puts on some serious sound. Before we had this, we were using a white noise app on our phone. But that always killed our battery and made it so our phones were unusable for us. The Sound Oasis one will hold a charge for the full night and then we just plug it in during the day in the car via a USB to charge if needed. We depend heavily on white noise to keep everyone asleep, so this has been a game-changer. We also take it with us traveling. Bring what they sleep in with you. If your baby sleeps in a Rock N’ Play (which I highly recommend, by the way), then bring it with you and let them sleep in it camping too! If they’re used to a pack and play or bassinet, bring that. Obviously this has limitations, but the less changes you can make for camping, the better off everyone will be. Count on a later bedtime. Just embrace it. The sun is out longer, you’re not bringing black-out curtains with you, and there is much more stimulation. Even if you’re a bedtime nazi (like me), chill out while camping and let them stay up late. Wear them out during the day! This is THE best thing about camping. 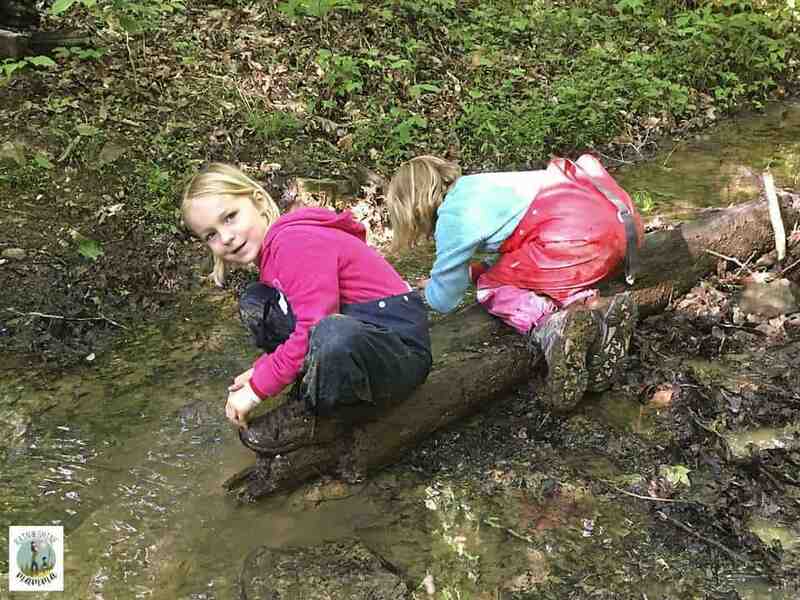 All that fresh air + playing + exploring usually does a great job at making everyone tired enough that they’ll eventually collapse in a deep sleep. 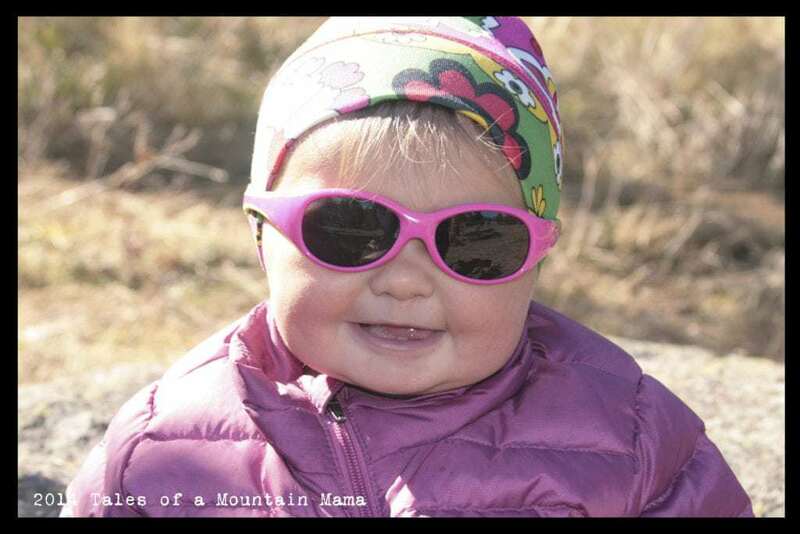 Wear hats to keep them warm in cooler mountain air. We lose a ton of heat out of our heads, and cold kids won’t sleep well. I really love this one because it is form-fitting and stays on. Cut out the sugar. It’s so easy to throw everything out the window while on camping vacation and let them eat 10 marshmallows if they want to….but it usually does nothing but give you crazy kids that won’t sleep. I’m not saying they can’t have treats, just be aware of when they’re eating them and how much they’re having. Make sure you bring sleeping pads. I really love the Big Agnes sleep systems for kids because it prevents them from rolling off their pads (and getting cold). 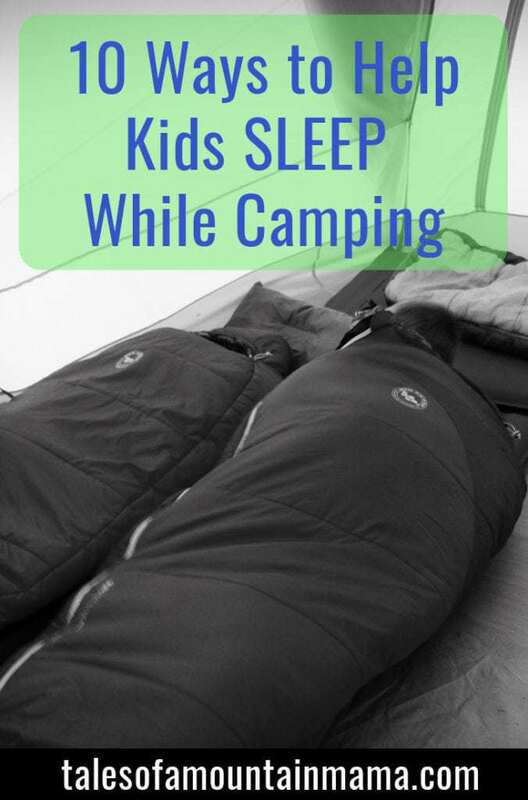 If you missed it before, definitely check out our big post on kid sleeping bags (and pads)! Inflatable mattresses actually trap cold air and make you colder, so avoid those if you’re camping in cool temperatures. If worse comes to worse – let them sleep on a dog bed! Anything to get you off the cold ground. Just go often. Simple, I know. But, kids that sort of know the routine are going to settle down easier and faster. Practice makes perfect…or at least close to it! **BONUS** If you have a nursing baby, doublewide sleeping bags are AWESOME. They give you both more room to move and not get cold. They have been a lifesaver for us. These are great! We do all of them except #9. 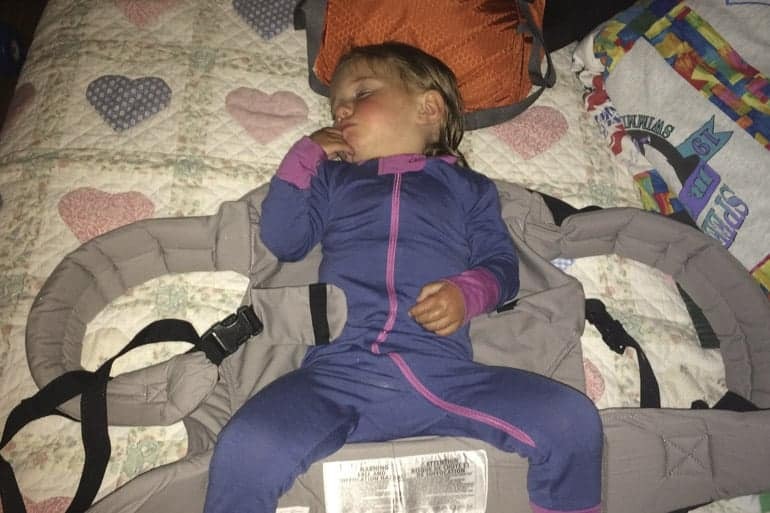 Getting our kids to sleep while camping in Alaska has been a challenge. It might as well be 2pm in our tent even at midnight. We’ve really embraced the later bedtime and have started having them listen to books on tape (via Audible) while they go to sleep so that we can guarantee some kid-free time for us too. #10 is the greatest reminder. If only the summer weren’t so short! Oh yes – Alaska daylight is awesome for so many things….but not sleeping! I was always just thankful growing up I could see the moose and bears if need-be 😉 And Audible while camping is a great idea! I’ll add some of our tips… for little ones with car camping we did Moses Baskets to isolate them from getting smooshed with sleeping bags. We also started them out with plush Halloween costumes early on that had hoods so we had monkeys, bears, lions in our tent to keep them warm through the night and add an element of fun through toddlerhood. 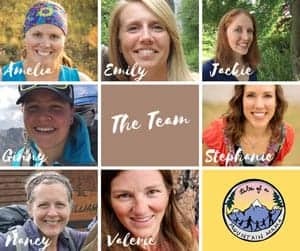 Per our midwife’ instructions we waited before going to higher altitudes until they were a touch older to keep excess pressure and cold away from the Eustachian tube and not chance their comfort. Thanks so much!! We use white noise at home and I thought I was a tad crazy for taking it camping with us, but now I feel better!! And that later bedtime is so true. Kinda freaks me out, but #5 helps balance it, right? Thanks so much! !